When government agencies use numbers to assess or predict human behavior, similar challenges tend to arise – whether the effort takes place in a courtroom, a hospital, a school, or a welfare office. Yet many in public life remain unaccustomed to interrogating and critiquing quantitative methods. This talk integrates decades of lessons from policing, social services, education, finance, and other domains to identify three core challenges of quantified governance: data-oriented methods can distort how problems are understood, blind organizations to vital realities, and create obstacles to systemic change. I will argue that these challenges are ultimately best understood not as technical issues or gaps in expertise, but rather as governance failures. I will detail real examples – ranging from the morgue to Wall Street banks – where constructive new ways of governing quantitative systems are already up and running. And I’ll suggest criteria we can use to assess how helpful these and other new governance approaches really are. 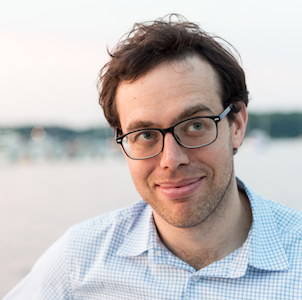 David Robinson is Managing Director and cofounder of Upturn, and an adjunct professor of law at Georgetown University Law Center, where he teaches a seminar on Governing Automated Decisions. David works to empower the public, advocates, and policymakers to influence the high tech systems that shape our daily lives, from courtroom algorithms and “predictive policing” systems to gig economy platforms. He has a deep interest in concrete ways that data-driven systems can support, or frustrate, civic goals of justice, equity and opportunity. Before launching Upturn, David served as the inaugural Associate Director of Princeton University’s Center for Information Technology Policy, a joint venture between the university’s School of Engineering and its Woodrow Wilson School of Public and International Affairs.